It was only about a few weeks ago that the India witnessed the formation of a new government amidst news reports, uniquely done party campaigning activities, extensive usage of social media etc. As the newly formed government enters the testing phase with the budget announcement; we at Adgully speak to the A&M industry personnel to get their viewpoints on our queries. 1) With numerous policies in place for the M&E industry already present, what are the 2-3 additions you would want to make if you were a part of the recommendation / advisory committee of the current government? 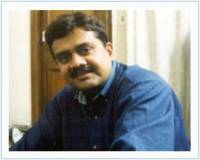 Ajit Andhare, COO, Viacom18 Motion Pictures - For permissions, especially for films and events I would seek single-window clearance, especially for production. Instead of going around in circles, we’d end up focussing more on our revenue streams then. Further, I think queries and licenses should be made more time-bound. Clear and consistent policies with the future in perspective would allow more definitely plans for the future at the organizational levels and allow the industry to generate employment opportunities in large numbers, thus contributing to the economy. Moreover, the specific issue of elimination/ reduction of entertainment tax on ticket sales also needs to be addressed. Today, with the industry having moved to where it now is, there is absolutely no rationale for having such a high entertainment tax. Lastly, there is a clear need of incentivising theatrical exhibition and the opening up of more screens. We are a highly under screened market and the per capita screen capacity as compared to a market like China or USA is very low. And by more screens, I don’t mean multiplexes, but screens/ smaller theatres which will allow affordable cinema like a 200 – 250 seater at low ticket prices. Any step that encourages this whether in the form of tax holidays or any free lease hold area along with a theatre area will encourage investments into further building infrastructure for screenings. Nitin Mantri, CEO, Avian Media - The Media and Entertainment (M&E) Industry in India has all the ingredients to become an important growth driver of the Indian economy. I would like Budget 2014 to reduce custom duties on STBs, digital infrastructure and rationalise taxes for DTH players to create a conducive atmosphere for growth of the broadcast sector. Rising cost of newsprint and the implementation of wage board recommendations have also hit the pint industry. Unlike the West, where the print industry is on the decline, in India, it is growing with each passing year. All major newspapers are launching new editions in Tier II and Tier III cities. Hence, I hope the Budget takes constructive steps to support its growth and expansion. From the PR perspective, I hope he Budget looks at framing regulations for government affairs. There are a lot of grey areas when it comes to advocacy in India and I think it is high time the government regularised this sector. Prashant Panday, Managing Director and CEO, ENIL – Firstly, considering the vast connect that FM radio has with the poor, I would exempt this sector from the purvue of Service Tax. This would help expand FM radio services into even smaller cities under Phase-3. Secondly, I would put a time limit to Phase-4 - basically an expansion program in which channel separation in the major cities is reduced to 400 KHz from the present 800 KHz. This would give additional license fee revenues to GOI and lastly I would increase FDI limit in radio to 49%. Rohit Ohri, Executive Chairman Dentsu India & CEO Dentsu Asia Pacific (South) - First is the boost digitization of homes to as to unable penetration in tier 2 and tier 3 towns and secondly the roll out of 4G, which will give the M&E industry a new screen opportunity. 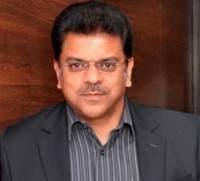 Siddharth Roy, COO, Hungama Digital Media Entertainment – I believe we need to allow the M&E industry to grow and flourish fittingly so that it is in a better position to pay back the humongous amount of taxes. 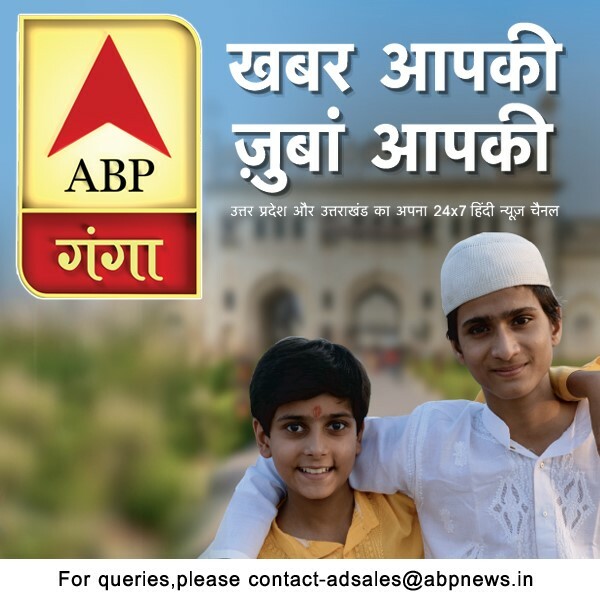 We need to device policies keeping in mind the birth and growth of newer sets of media so as to make them efficient enough to stand strong in the larger ambit of the game. The new policies should consider the issue of gigantic entertainment tax structure, as the industry is faces dual blows from the state and the central government tax systems. 2) Off the existing policies and rules, which are the 3 most important policies that you believe need to undergo immediate change/alteration? 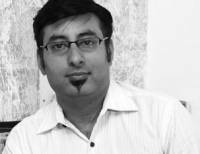 Prashant Panday - Phase-3 policies need to change as follows – (a) News - private broadcasters must be allowed to broadcast news. Sourcing can be from "any source", not limited to AIR or just "3-4 sources". (b) Reserve fees for the auctions need to reduce drastically, based on experience in 2G. Even if this is not done immediately, it should be done for Phase-4....and even for failed Phase-3 frequencies and (c) Medium Wave and Short Wave need to be privatized at some point in time. Nitin Mantri - Year 2013 was a difficult one for the television industry. Apart from a sluggish flow of advertising revenue due to a weak economy, the industry had to deal with regulator hurdles. In future, the 12 minute per hour ad cap will greatly impact the television industry. While the big players will not be affected, smaller channels will feel the pinch. I hope Budget 2014 looks into this challenge. The new government should also ensure that policies act as growth catalyst for the M& E industry growth. In 2013, growth was hampered as policy announcements were either ill-timed or not followed up with action. Ajit Andhare – It’s a well-known fact that 33% of the M&E industry revenue is paid towards taxes and multiple licence fees apart from recurring commission payments. It would help the industry to earn better and channel resources if these are re-evaluated and rationalised. Also in view of the GST implementation, entertainment and service taxes should be abated. Thirdly, I would like to abolish the Cinematographer’s Act of 1952 which classifies filmed entertainment as a sin industry. It’s a archaic form of regulation that hampers the process of opening up of more screens and theatres due multiple clearances etc. There has to be a significant rationalisation of the same. Rohit Ohri - As India moves from being a manufacturing economy to a service economy, one is hoping that the budget will incentivize development of the M&E sector through favourable tax reforms. 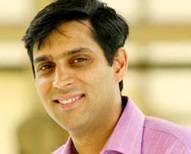 Mohit Anand – I would split it into two; one is that the Government needs to immediately address the issue of carriage from a regulatory perspective, since it is one that is debilitating economically for broadcasters and needs to go. Secondly, incentives to broadcasters who are investing in creation of content locally, thereby ensuring that Indian audiences are treated to local content which is in line with local tastes and values. We would suggest that a threshold be created wherein a broadcaster having more than 25% content which is created and produced locally is provided economic benefits as an example. 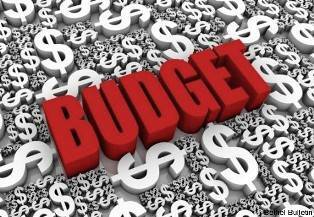 3) Merely as a part of the advertising, media and entertainment fraternity, what are your expectations for Budget 2014? Nitin Mantri - The M&E industry has grown in leaps and bound in the past years. But, now with a new government in place I am hoping for inclusive growth, which will take into account all aspects of the industry. It is also important that we aim at positioning the industry in the global market for increased revenue generation. One way to do this would be by promoting India as a destination for foreign film makers. To achieve this, the government will need to frame flexible policies that give incentives to international filmmakers keen on shooting in India. It is heartening to note that the ministry of Information and Broadcasting has decided to make India a more filming-friendly country for foreigners and is exploring the possibility of creating a single window clearance structure. The way forward also lies in digitalisation. Hence, the M&E industry needs to embrace this mode of communication and blend it with traditional media. All in all I am expecting improved consumer experience, customised tariffs and greater transparency in the sector through innovative and path-breaking policies. Ajit Andhare - Viacom18 Motion Pictures functions within the wide M&E landscape. The industry’s expectations apply to us directly or through our alliances’ interests. We are closely aligned with the sentiment of the M&E industry. Anirudh Dhoot, President, Consumer Electronics and Appliances Manufacturers Association (CEAMA) and Director, Videocon - The reduction of excise duty in the Interim Budget from 12% to 10% on products, inputs and parts had come as a great relief for the industry and helped the sector. CEAMA welcomes Finance Ministry’s move to extend the concise duty concession till December 2014. CEAMA would request for this continued support even beyond December 2014 as the industry is still struggling and Index of industrial production has not shown a healthy growth. CEAMA further foresees an improvement in the industry standards, eradication of grey markets and an overall boost to the sector from the new Government. Prashant Pandey - I expect FDI of 49% to be announced in the budget, Phase-4 to be announced for FY15 or at least FY16 and lastly I expect the governement to scrap Service Tax for radio. 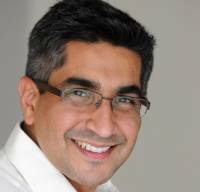 Rohit Ohri – I look forward to positivity in consumer sentiment which will help bring consumers back to categories they have taken a ‘wait and watch approach’ to and a boost for emerging M&E segments like gaming, animation, OOH and online advertising. 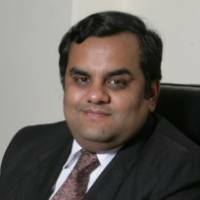 Mohit Anand - The key expectations that we would have from the budget is that the budget is growth oriented and brings back confidence in the macro-economic environment, which allows the investment cycle to begin again with gusto thereby driving consumer confidence and spending. Siddharth Roy – We would wish for a consumer-facing and consumer-friendly budget that enabling them to spend conveniently on media and entertainment; this understandably will help us as to offer more and more of these products. Secondly, I believe that the over the last 2 -3 years, the telecom and broadband ecosystems have been under constant pressure which needs to be done away with. Better infrastructure in this ecosystem would help us provide our services more appropriately. Also, we believe that better and alternate payment systems need to be brought in for smoother buying and selling of digital goods. Well we hope that these opinions, wishes and expectations are heard and acted upon so that the A&M&E industry flourishes ahead. Exclusive | The journey from Fox Traveller to Fox Life-Go Places!